Today's post features Bohemian Polish Babashook, a limited edition polish releasing with the Polish Pickup October. Bohemian Polish has created the matte black polish of our dreams, and it's going to be limited edition. I don't usually hype polish too much, but I guarantee you are going to be sad if you miss out on this one! Notes: This stunning shade was inspired by the Babadook and its status as an icon of Pride. 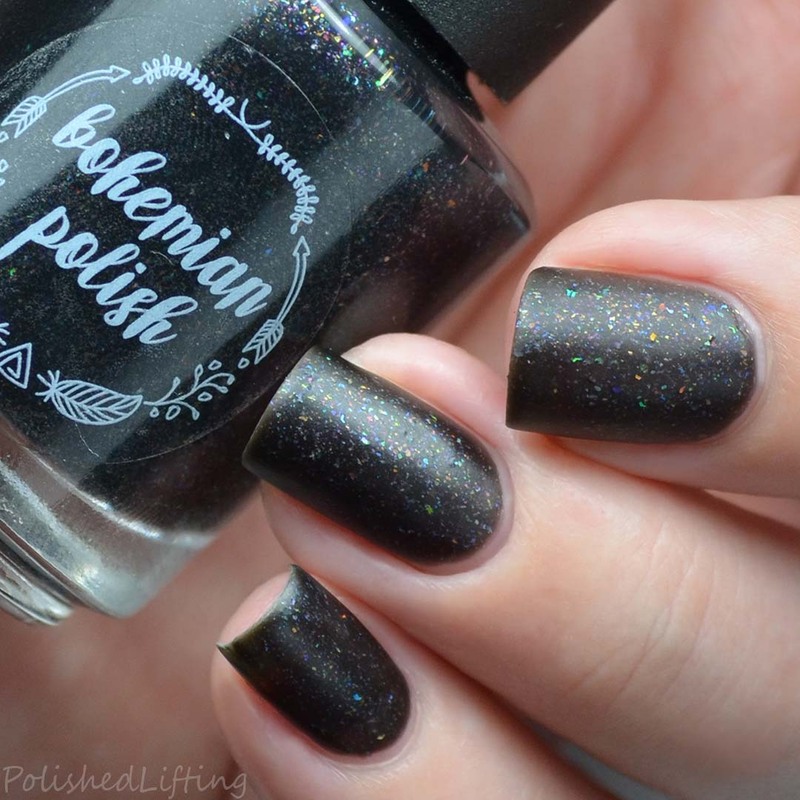 Bohemian Polish Babashook will be available on the Polish Pickup website on Friday, October 6th. This shade will be available through Monday, October 8th before it is retired.